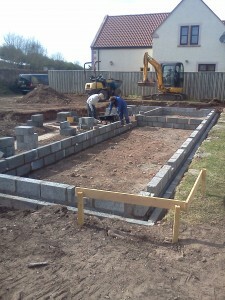 Our first project on site near Dunbar. 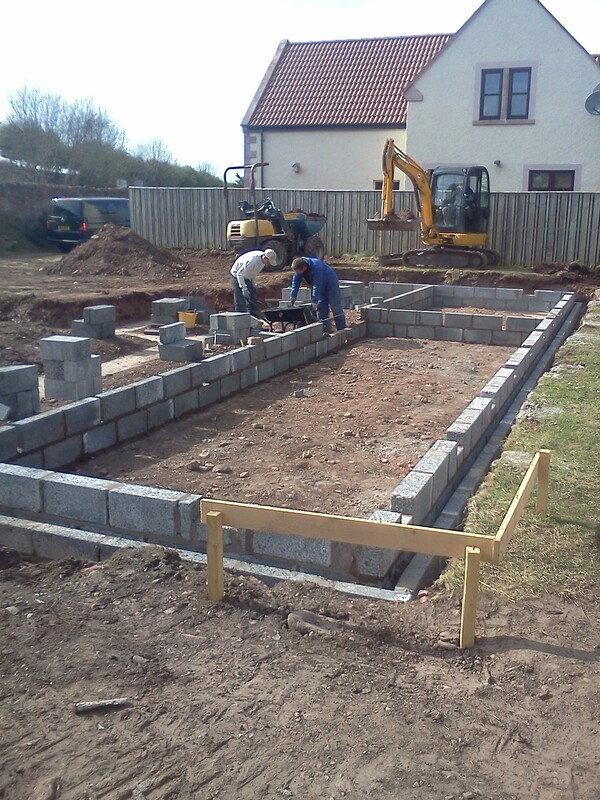 The foundations are in and the blockwork is being laid ready for the ground floor joists to be laid. The house will be a timber frame with external masonry cladding.